Personal Capital is one of the growing number of investment platforms available. But it may be even better described as an account aggregator since it also connects virtually all of your financial accounts, including your bank accounts, investment accounts, credit cards and even your mortgage. On top of that, they also provide investment advice to help you manage and grow your investments. It’s professional investment management, but without the high fees typically associated with that service. 5 Should You Choose Personal Capital to Help You Manage Your Investments? Personal Capital provides such a wide range of services that you’ll feel like you’re getting a very personal touch – and often you literally are. The platform is free to use and can also provide you with a dedicated investment advisor if you have over $100k in your portfolio. They offer what they refer to as The Big Picture view of your entire financial profile. This is also referred to as the “360 degree View of Your Financial Life”. It includes all of your financial accounts, and considers the impact that each has as a part of your overall financial situation. This is almost unique among web based investment platforms. Personal Capital also incorporates an Integrated Investment Portfolio feature, where they import all of your investment accounts into the platform to give you a comprehensive look at your asset allocation. This is incredibly valuable if you have your investments spread out over several accounts, with various investment brokers. The have a unique custom feature referred to as The “You Index”. This tool specifically monitors the performance of your equity investments, including both funds and individual stocks. However, it does not include cash-type accounts or any holdings of individual bonds, options or alternative investments. 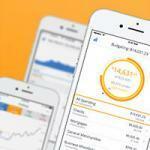 Like most investment platforms now, Personal Capital allows you to incorporate mobile apps. The platform can be downloaded on Apple iPhone, iPad and Adroid apps, and the performance level will be comparable to the desktop version. Personal Capital offers solid protection on the security front as well. They require you to register each computer you use, and will then send you either an e-mail or text message to your cell phone. They also have a security image that you pick out from a list, preventing scrapped versions on their site from hackers. 401(k) Fee Analyzer. The Analyzer shows you how much you’re paying in fees on your retirement plan, a fact which isn’t always obvious. This can then help you to make adjustments toward lowering your fees and improving your long term performance. Cash Flow Tools. One of the best features with Personal Capital is the cash flow tool which gives you a overall view of your expenses and income. It breaks it down into different categories of spending/income. 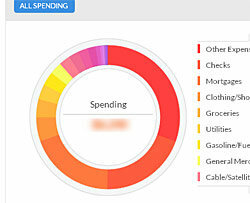 Touch on one of the segments in the pie chart, and you get a more detailed look at all your expenses (or income) in that particular block. This is extremely helpful in putting together your budget and is one of the many free features that comes with signing up with Personal Capital and linking your financial accounts. Investment Checkup. This gives recommendations for asset allocation, which is the single most important investment strategy. The recommendations are based on your risk profile. You input a basic risk profile, answer when you want to retire, what income sources you predict, and a few other basic questions. It then provides a graph showing their recommended portfolio for you. Asset Allocation Target. This tool allows you determine if you are over- or under-weight in any major equity category, and to make adjustments if necessary. Funds Cost tool. This tool breaks down the cost of annual expenses related to investing in any fund that you own. Avoiding mutual funds, which are tax inefficient. Tax allocation. For individuals with both taxable accounts and retirement accounts, this means placing the right investments in the right accounts. High yielding stocks and fixed income generally go into tax deferred or exempt accounts. REITs pay non-qualified dividends and should also be owned in retirement accounts. Tax loss harvesting. Because they use individual securities, they can realize losses to offset gains or provide a deduction. It’s always a major plus when your investment advisor “has your back” on the tax front. Based in San Francisco, Personal Capital’s co-founder and CEO is Bill Harris, who was formerly the CEO at both PayPal and Intuit (makers of Quicken and TurboTax). 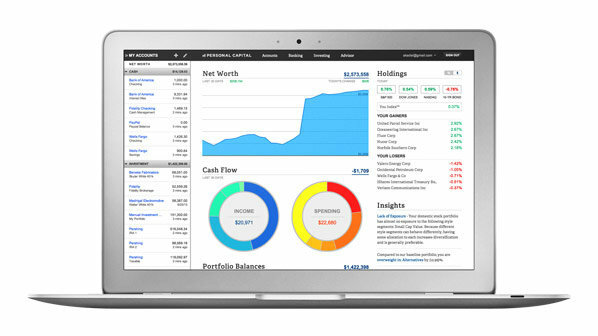 The platform works by customizing your investment portfolio based on your goals, preferences and risk tolerance. Once they learn about your entire financial situation and goals, they then determine how much growth you need to reach your goals. A portfolio will be designed that incorporates an appropriate risk and return profile. They also account for unique circumstances, such as savings goals like buying a house. For the most part, however you want your portfolio customized, they’ll make it happen. They use baskets of individual securities and exchange traded funds (ETFs) to create your portfolio. They specifically avoid index funds because they have high annual fees, and generally feel that they decrease investment performance. Investing in individual securities is also more tax efficient since tax harvesting can be used to minimize taxes. They also offer Personal Funds which are created to target specific investment objectives. These are also largely made up of individual securities, and not mutual funds. Your investments are not held by Personal Capital, but by Pershing Advisor Solutions, a Bank of New York Mellon Company. Pershing is one of the largest US custodians, with over a trillion dollars in global client assets. Personal Capital doesn’t have direct custody of your assets – only you do. As we mentioned before, Personal Capital is free to use. However they also offer their fee-based services which will provide you with greater services. But even the fees on these services are a bargain compared to traditional wealth management service fees, which may be in the range of 3-5% of your portfolio for their services. What’s more, wealth management, trade costs and custody are included in the fee structure. There are no commissions. They also help clients with financial planning and 401k allocations at no charge. Should You Choose Personal Capital to Help You Manage Your Investments? I would say, why not? 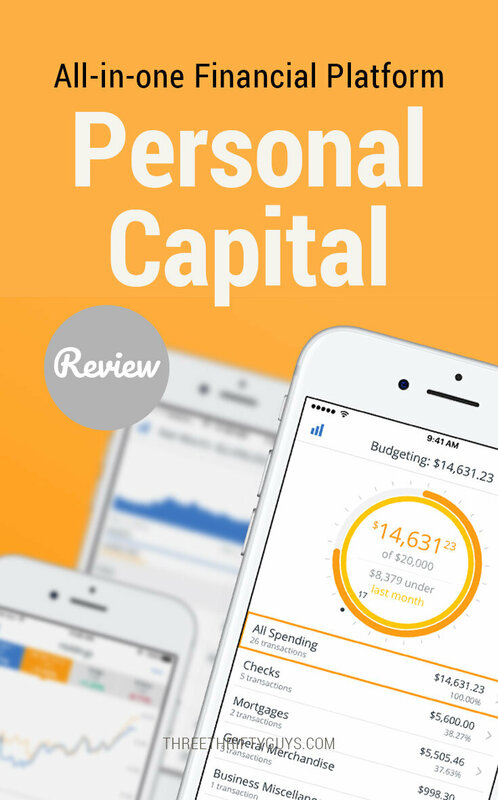 Personal Capital is totally free to use and helps you see the “big picture” with your finances – plus, offering you a more comprehensive and detailed look at how your investments are performing. If you wish to get more one-on-one, personal counsel, you can do so with a minimum balance of $100k in your portfolio. If you’re looking for professional investment management – without having to pay the high fees charged by personal investment advisors – then Personal Capital is a platform well worth considering. This article was brought to you by the fine folks at Personal Capital. All opinions expressed are our own. We may receive a commission if you sign-up for an account – at no cost to you.